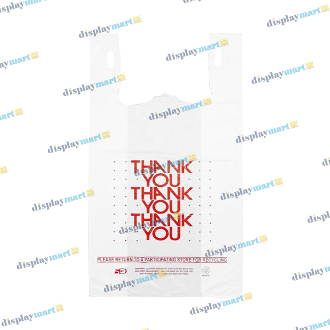 Find economical plastic shopping bags here on DisplayMart.com! Great for any retail or grocery store, these plastic bags are the ideal way to bag you customer’s purchases upon checkout. These standard t-shirt sized bags will work perfectly with the bagging stand that can also be found on DisplayMart.com.